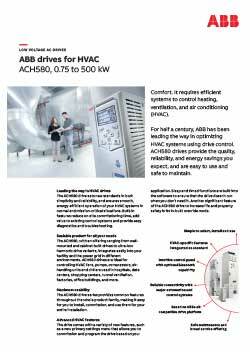 Whether it be within a hotel, hospital or shopping complex, we often take for granted the fact the temperature is comfortable and the air we breathe is pure. 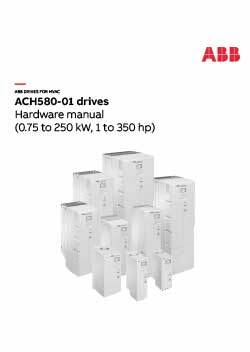 The ACH580 (HVAC) drive from ABB is leading the way in controlling heating, ventilation, air conditioning and cooling (HVAC/R) systems. 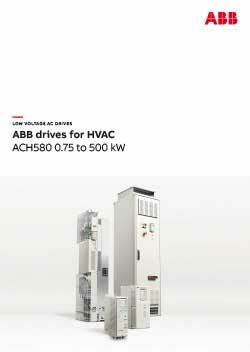 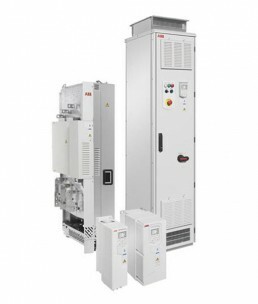 The ACH580 series of variable frequency drives (VFDs) provide a quality, reliable and energy efficient solution for HVAC applications in this sector.